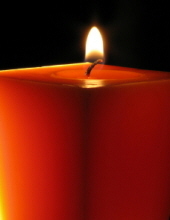 Ronald G. Brown, 73, of Momence, IL, died on Monday, February 4, 2019 at the Momence Meadows Nursing Home in Momence, IL. He was born on November 30, 1945, in St. Anne, IL, the son of George J. and Marjorie Mae Gilbert Brown. He is survived by four brothers and sister-in-law; David Brown of St. Anne, IL, William Brown of St. Anne, IL, Vernon L. Brown of St. Anne, IL, and Gerald L. and Mildred Brown of St. Anne, IL. One sister and brother-in-law; Elizabeth and Tom Brown of Tennessee. He is also survived by 12 nieces and nephews and 20 great nieces and nephews. He is preceded in death by his parents. He was a member of the St. Anne Catholic Church in St. Anne, IL. To send flowers or a remembrance gift to the family of Ronald G. Brown, please visit our Tribute Store. "Email Address" would like to share the life celebration of Ronald G. Brown. Click on the "link" to go to share a favorite memory or leave a condolence message for the family.